What makes a community urban, rural, or suburban? How do these communities rely on each other? This program explores the history of how the ever-growing city of New York has tapped into the natural resources of the surrounding countryside and how, to this day, urban and rural communities rely on each other for survival. Go to Program Learning Standards for information on how this program reflects the content and learning goals of New York State learning standards. What was life like for immigrant and migrant workers who helped to build New York’s water supply infrastructure throughout the late 19th and early 20th century? What are some historic and contemporary debates about water? What can music and imagery created by artists tell us about these debates? Students listen to protest songs, analyze political cartoons, and discuss other primary sources. They will consider a range of perspectives on events related to issues such as water pollution, failing water infrastructure, the construction of reservoirs & dams, hydro-fracking, the bottled water industry, land use near rivers and aquifers, and the privatization of water. Students work in teams to analyze sources and present different points of view on the history and context of people defending access to clean water as a human right. New Yorkers love our regional story about how planners, designers, and builders made the City a healthier place to live by building a fabulous tunnel to deliver clean water. What other tales do humans tell about water? How are they similar or different from each other? What do these stories tell us about the role of water in human lives? Students divide into teams. Each team is assigned a unique water story to read, analyze, and interpret. We explore the storyline, symbolism, and key message of the story. Students then design a colorful folktale poster and present it to their peers in the Keeper’s House gallery space. Two centuries ago, the threat of waterborne diseases like dysentery and cholera haunted New York City. People never knew when the next epidemic would spread through crowded neighborhoods. 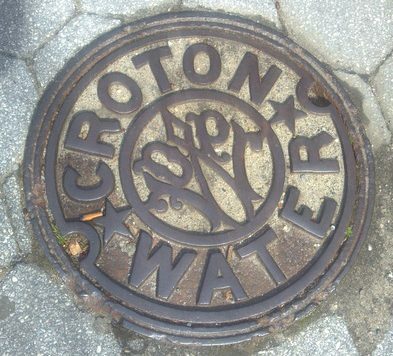 Eventually, over time, New Yorkers collectively managed to resolve this problem by building aqueducts and reservoirs to replace polluted ground wells. Today, one of our great environmental threats is the pollution of waterways and oceans with plastics that don’t break down. How will we respond to this problem? This program explores how 10 million metric tons of plastic waste enter oceans each year, what impact this plastic has on marine life and water quality, and what some people are doing to try to solve the problem – both locally & globally. We use a hands-on model of a watershed, stories about whales, and student brainstorming to engage kids in this timely conversation. Go to Program Learning Standards for more information on how this program reflects the content and learning goals of New York State learning standards. In 2018, what are our biggest problems related to the management, distribution, and conservation of water? This program challenges students to think about local, national, and global issues and the role of public policy in addressing them. Students of government and economics begin by listening to protest songs, analyzing political cartoons, and discussing other primary sources. They consider a range of perspectives on issues such as water pollution, water scarcity, failing water infrastructure, the construction of reservoirs & dams, hydro-fracking, the bottled water industry, land use near rivers and aquifers, and the privatization of water. What are the origins of these problems and how did they evolve over time? How have individual citizens and elected officials responded? What are the financial and social implications of these responses? What can we learn about government and how public policy is shaped by reconstructing and understanding complex public debates about water? Program Location: The Keepers House on the Old Croton Aqueduct is an historic house and park Visitor Center in Dobbs Ferry, NY (address: 15 Walnut Street, Dobbs Ferry, NY). For this program, we use the Keeper’s House as a student retreat center for discussion and planning. Follow-up discussions and group can be facilitated at school.